How to Determine Your Ideal Client & Close More Deals! How to Determine Your Ideal Client & Close More Deals!! Determining your ideal client will vastly improve your sales results in your real estate business! How would it effect your business if you only worked with customers and clients who looked to you as an authority, trusted your professional opinion, followed your guidance and told everyone they knew to use you and only you for all of their real estate needs? Would you get more listings? Would you get more of those listings sold? Would you have more buyers? Would you convert more inquiries into clients? Would you close more transactions? Would you have more time? Would you enjoy the business more? Would you make more money? If this sounds like the ideal real estate practice, remember it’s yours for the taking! Simply craft the image of this “ideal client” and then design your business around that model. So where do you begin? I don’t want to work with someone who is always seeking a discount. I don’t want to work with someone who does not respect my professional advice. I don’t want to work with someone who will not exclusively work with me. I don’t want to work with someone who is not qualified to buy or sell property. I don’t want to work with someone who lives over 20 miles away from my office. My ideal client treats me as a professional. My ideal client trusts my professional research and advice. My ideal client is easy to get in touch with and promptly returns my calls and emails. My ideal client is enjoyable to be around. My ideal buyer is totally pre-qualified before we go out to look at any houses. My ideal buyer writes an offer on one of the first five houses we see. My ideal seller has equity in their home. My ideal seller understands the selling advantage of offering their house for sale with a high commission rate. My ideal seller realizes all the buying opportunities in today’s real estate market. My ideal seller is willing to use their house as a tool to take advantage of this market. My ideal investor buys 2 to 4 houses a month in this real estate market. My ideal seller will improve their positioning in the market by reducing their price when asked. My ideal lender promptly calls my clients and follows up with me. My ideal lender stays in continual contact with me as to the status of the loan package as we go under contract. My ideal closing attorney contacts me when the title search has been completed. My ideal closing attorney happily squeezes me in at the end of the month when I get a property under-contract late in that month. My ideal client sends me 6 to 10 referrals each year. My ideal broker keeps me moving forward and gets me the results I want! Getting the idea? What you focus on expands! With this seller, with this buyer, with these affiliated business partners, with this Broker, are you beginning to envision a career that adds more joy, time and income to your life! Now, how do you find these ideal clients? You must be willing to give your best service to those that meet your qualifications. It all begins with your value that you bring to the sale situation and why someone would buy from you versus any other agent. (Are you clear on that yourself?) Next, you must discover their criteria; determine exactly what it is that they are looking for in a real estate transaction and what they are looking for in an agent. You can easily discover this through the power of questions. Ask them what buying or selling that house means to them and how it will effect their life. Dig deep! Continue this process by delineating expectations. Articulate to your clients what you expect of them and what they may expect of you in return. If a potential customer will not agree to your business standards or is not able to, then simply thank them for their time and refer them to another agent with whom they will be more comfortable. Convey your standards of service and the description of your ideal client in all of your marketing, networking and prospecting you do for business. For example, you can ask your sphere of influence, “Who do you know that has equity in their home and wants to buy in this market of high selection, fantastic terms and low interest rates?” Decide how YOU want to run your business? Do you work with anyone or only buyers & sellers in a certain price range (same work but more pay… sounds like a plan!) Or do you choose to work in a high volume price range (less commission per transaction but more transactions… sounds like another plan!) Regarding professional service-providers, people tend to respect high standards and professional boundaries! When the average days on market is 180 or 240 days and you continually sell listings in 30 or 60 days (due to your “ideal area” or “ideal price range” or “ideally motived seller”) do you think you will naturally attract more business? Would that be a statistic you should highlight in your marketing materials? Use the market trends to determine how to work an area in your favor as well as to the benefit of your clients! 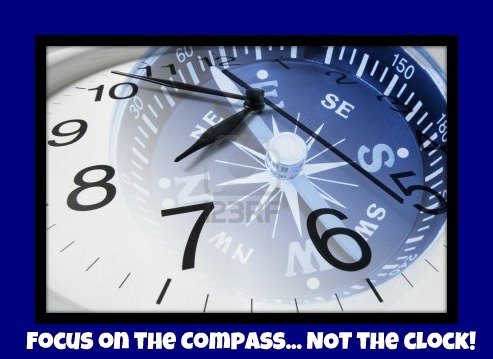 Focus on the Compass… NOT the Clock! Have you reached your dreams and goals yet? If your answer is “yes,” then what are your NEW aspirations? If your answer is “no,” then are you still pushing forward or have you given up or changed direction? Watching the 2012 Summer Olympics is truly motivational! The stories, the dedication, the effort, the focus inspires us to continue on towards whatever it is we want to achieve! Isn’t it amazing how many Olympic and World records are broken every Olympic Games? 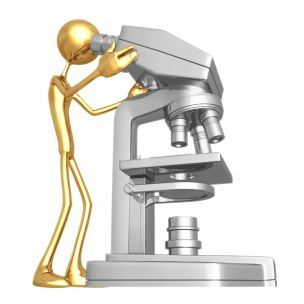 Do you think that the human spirit and human body will ever reach a finite point where no more records would be broken…. or do you revel in the awe of the ever-increasing levels of accomplishment? On May 6, 1954, Roger Bannister was the first human to break the 4 minute mile; a mere 46 days later, Bannister’s record was broken; 47 days later, the newest record was yet again broken! Once the mind could “conceive and believe” this concept, then it was achieved… over and over again. Today, the current world record for men for runnng the mile stands at 3:43.13. Just one of the many illustrative stories is that of Allyson Felix who missed gold in the 200 meter race by 13 hundredths of a second in 2004; by 18 hundredths of a second in 2008; by 0 hundredths of a second in 2012! To be so close to your goal yet not be declared the winner could be extremely disheartening. Like Allyson, are you willing to do what it takes? Many of the athletes winning medals in these Olympic Games have had that achievement as their sole focus for years! Many had left home to go train with a specific coach or in a specific loacation to give themselves the absolute best chance of winning. The stories continue of the athletes who remained dedicated towards their achievements for 2, 3,4+ Olympics… which are only held every four years. What could you achieve in your career if you maintained this type of dedication over a sustained period of time and didn’t give up or give in to the frustration and disappointment if you didn’t hit your goals within the time frame you initially set for yourself. Your goal is to have 25 transactions this year… what if you close only 22 deals? Are you going to give up on that goal of closing 25 for next year? Your business plan calls for you to talk to 5 new people a day about real estate and last week you averaged only 3… do you throw your hands up or do you re-dedicate yourself to your business and reach out to 5 new people a day next week? You have focused all your business efforts to earn $125,000 this year; you earn $67,500 or even $41,200… is that it??? Do you give up on real estate and go find another job? Train to achieve your goals, dreams, passions! Learn your market! Go see more property! Venture into dealing with investors! Get into property management! Host a foreclosure bus tour! Prospect expired listings! Find a mentor! Hire a coach! Invest in a lead-generating website! Go talk to your past clients! Market on Craigslist! Ask a top listing agent to take their sign calls! Sign-up for Agent on Duty or to receive leads from MX1 Leads Management! Do foreclosure open houses! What are you doing to train in your business? If you do not train like an Olympic athlete does for their sport, do you really expect to get Olympic-type results? Even Olympic athletes don’t necessarily achieve their goals within the time frame that they want. Stay in the DIRECTION of your dreams… focus on the COMPASS! Keep your sights what you want out of your career and continue to perform your way towards those end results. It is said that we overestimate what we can do in one year and greatly underestimate what we can do in five years. Stay intentional in your heart and mind and planning regardless if you do not hit your target within the time frame you initially specified… Focus on the compass, NOT the clock! 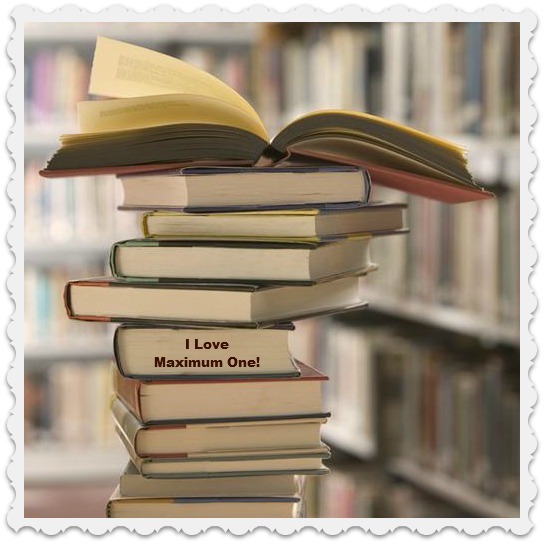 Please comment on what you have read or listened to lately that has had a positive influence on your life in general and career as an effective real estate agent!